According to aggregated data released exclusively to Poets&Quants from TransparentCareer, the graduating MBA from Emory’s Goizueta Business School made the right choice. No other company has more satisfied MBAs than PepsiCo. TransparentCareer, essentially a Glassdoor for MBAs founded by a team of graduating MBAs from Chicago’s Booth School of Business. The firm compiles self-reported job satisfaction and cultural data from more than 25,000 current and recently graduated MBAs working full-time or interning at 6,500 companies. PepsiCo topped of a list provided of major MBA employers, scoring an average “overall job satisfaction” of 8.7 (on a one to 10 scale with one reflecting extremely low job satisfaction and 10 reflecting the highest possible satisfaction). Up next were tech behemoths Microsoft and Apple, with scores of 8.4 and 8.3, respectively, with ZS Associates and Barclays rounding out the top five. 3M, Credit Suisse, Facebook, PwC Advisory, and Fidelity Investments all scored in the top ten. “I would say the data is more confirming than surprising,” says Kevin Marvinac, a TransparentCareer co-founder. 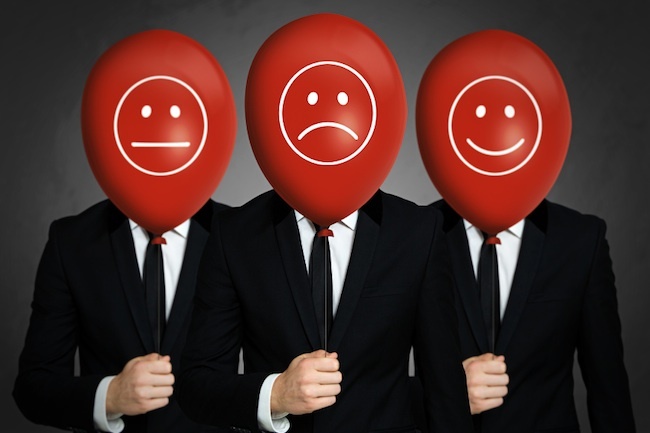 Considering no employer had an average job satisfaction score lower than five, Marvinac believes most MBAs are generally pleased with their jobs. However, PepsiCo’s top spot certainly comes with a caveat. The sample size for the PepsiCo data is based on just 10 respondents and represents the lowest sample size of the 32 companies rated on this first list (Deloitte has the largest sample size with 178 completed reports). Still, as McGlory notes, the company has worked hard to create a culture and workplace that appeals to a generation increasingly interested in work-life balance and a career with impact. Still, as Marvinac points out, a low score in one category could certainly sabotage a company’s overall rating. For example, General Electric had an average cultural rating of 3.3, the lowest score of any company in any one of the four categories measured, including overall job satisfaction, culture, impact and whether you would recommend the company to a friend. Bank of America Merrill Lynch, which had an overall job satisfaction rating of 5.2, scored a less-than-stellar 4.6 on whether an MBA would recommend the company to a friend. The data also reveals some interesting trends. First, smaller firms seem to do better in the survey than bigger companies. For instance, ZS Associates, which boasts roughly 4,000 employees and was founded by Northwestern Kellogg School of Management professors in 1983, is tied for fourth with an overall job satisfaction rating of 7.8. Long standing consulting goliaths like PwC, Bain and A.T. Kearney trail with job satisfaction averages of 7.4, 7.3 and 7.3, respectively. Marvinac believes the reason smaller firms such as ZS Associates and L.E.K. Consulting (around 1,000 employees) performed well is because of deeply engaging cultures. “It’s not the Bain, McKinsey or BCG name but here it’s performing really well,” Marvinac notes. “L.E.K. Consulting has a strong culture and knows really well how to match that culture to the people they hire. The high job satisfaction scores are a result of that.” While L.E.K. tied with Wal-Mart and Kraft Heinz for overall satisfaction, all scoring seven, its average score for recommending to a friend was a whopping nine on that ten-point scale. The only other company with a score as high as nine for recommending to a friend was ZS Associates. 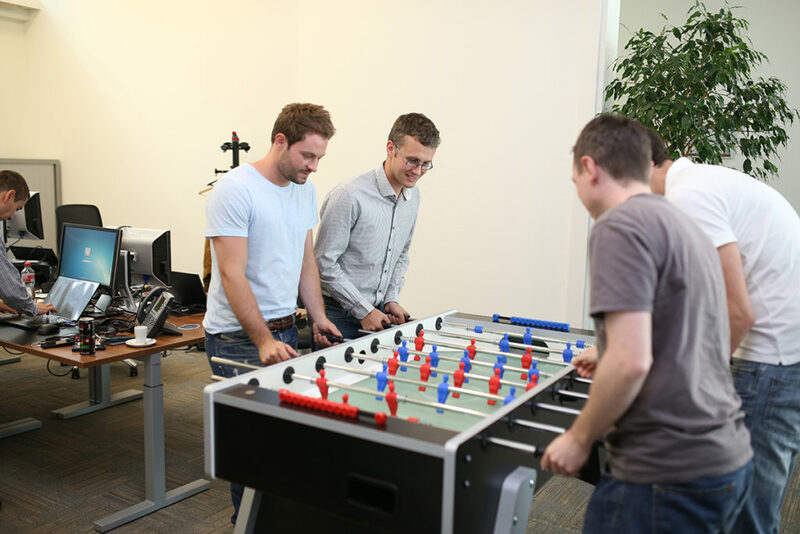 Employees at ZS Associates take a break at the office foosball table. The relatively small consulting firm out-performed many well-established and larger consulting firms for MBA job satisfaction. Image Credit: ZS Associates. To be sure, top-minded MBAs are thinking about more their bi-weekly paychecks. Hoebart says he weighted potential personal and professional growth as well as whether he enjoyed going to work everyday more than compensation when considering his full-time offer from Apple. “I was looking for a role where my skill set fit into the functions,” he explains, noting he wanted a position that would foster growth of his current skill set as well as the ability to learn new skills. Hoebart also said he considered factors like how he got along with his team, the respectfulness of Apple’s environment and even the commute (smart, considering the Bay Area’s horrific traffic). “It checked all the boxes for me,” he says about Apple’s offer. Unprompted and before Poets&Quants’ conversation with Hoebart, Marvinac shared Hoebart’s sentiments about skill set match. “If you get an impact score that’s a little lower with the company, that to me indicates an MBA candidate who got there and began working and felt like they couldn’t make an impact based on the skill sets they brought to the table,” Marvinac explains. The data also revealed that MBAs are clearly concerned about a healthy work-life balance. For the most part, the days of busting 80-hour weeks are long gone. The median hours of work per week for the 32 companies is a much healthier 54 hours. MBAs at Citigroup even reported an average of 40 hours a week. There could be a slight correlation between average hours of work per week and job satisfaction. With the exception of Barclays and Credit Suisse, firms in the top five for hours worked per week, seven of the top nine companies with the highest job satisfaction rates have MBA respondents who say they work fewer than the median hours per week. MBAs say they work the most hours at Goldman Sachs, where they average 86 hours per week, Barclays (73 hours), JP Morgan (72), McKinsey (72), Credit Suisse (70) and Morgan Stanley (70). MBAs say they travel the most at the big consulting firms. On this measure, McKinsey takes the lead with responding MBAs saying they spend an average 78% of their time on the road, with PwC Advisory second (77%), A.T. Kearney (73%), Accenture (69%), and Strategy& (66%). As for recommending an employer to a friend, Bank of America and Morgan Stanley were on the low end of the scale, scoring 4.6 and 4.8, respectively. As stated, the two smallest companies included in the data — L.E.K. Consulting and ZS Associates — scored highest for recommending to a friend. For MBAs seeking immediately important and impactful work, banking might not be the best option. Citigroup, Morgan Stanley, and Bank of America all scraped the bottom of the impact portion of the data, with scores of 4.0, 4.8 and 4.8, respectively. Interestingly, MBAs reported feeling like their work had the most impact at A.T. Kearney, where the average impact score was 8.1. Barclays and PwC’s global strategy consulting arm were second highest, both notching scores of 7.8. Both Hoebart and McGlory reflected on meaningful projects during their internships. At PepsiCo, McGlory says, the marketing department held pitch competitions similar to the television show, The Voice. One-by-one, interns walked to the front of a room to pitch ideas to a panel of three, which included Krishnan and two other senior VPs. If they liked the idea, they’d spin their chairs around and face the intern. “That person would become the person who would fund the project and make sure it came to life,” recalls McGlory. While the TransparentCareer data can be helpful to students making decisions on internships and jobs, it’s merely the beginning of a long and involved process for MBAs, Marvinac believes. “This is not meant to be comprehensive,” he says. “This is meant to be a good starting point for refining your recruiting strategy.” Also, Marvinac says, it’s important for MBAs to consider the ROI on their degrees.